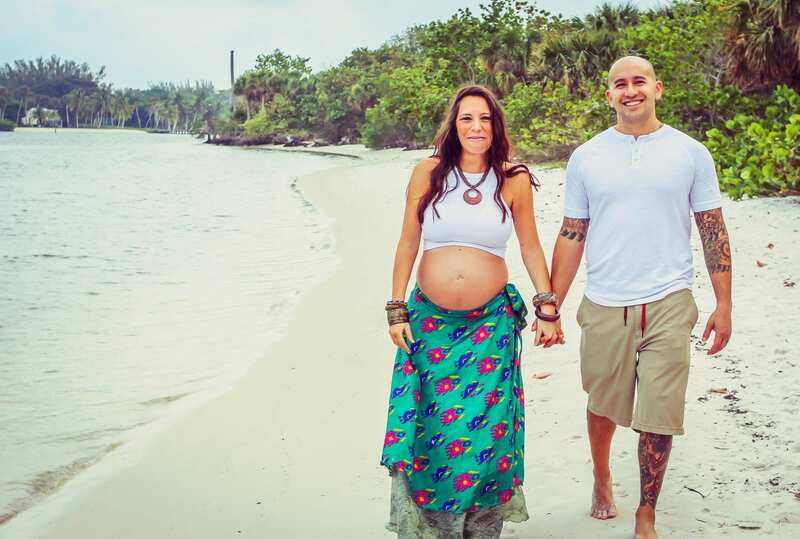 A new fad of taking a “babymoon” has hit the western culture hard, and we’re all about it! If you don’t know what a babymoon is, it’s a relaxing or romantic vacation taken by parents-to-be before their baby is born. Deciding to buy into the fad and go is step one. And the figuring out where and what to do and then for how long . . . That’s the fun part. There is so much buzz around this new “moon” we get to take, but where and when did this start? I don’t hear our parents or grandparents talking about their babymoons, so what’s the deal? From what I can gather, the term babymoon was coined from the British author and childbirth educator Sheila Kitzinger. But how she originally conceived of a babymoon wasn’t as an elaborate vacation planned before baby arrived, but for after delivery. Babymoon: A time spent at home with just mom, dad, and baby to bond and get used to each other, arguably not very romantic, but important none-the-less. Are babymoons worth all of the buzz, money spent, and time off work? I think yes! And here is why. 1. You won’t get this time back. This is time you will never get again. You are now going to have children for the rest of your life. While I firmly believe in continuing to take vacations alone with your partner after children, the hassle of child care on top of pet care, and time off work is just an added stress that makes vacations a lot trickier and a lot less carefree. 2. An opportunity to rest. Taking time out of the daily grind to just be with your partner and get away somewhere to relax and recharge is good for the soul. Read some books, maybe even ones that don’t have to do with delivery or baby routines. Enjoy sleeping when you can wherever and however you can. If you are taking a babymoon with your partner, really be engaged while you have this time together. Even infants who don’t do a whole lot other than sleep and eat still drastically change the dynamic of the relationship and putting in some really good quality time before having a baby really brings the romance back at a time when the world as you know it will be turned upside down for awhile and you will have to find a new normal. New food, new culture, new town, maybe just a new outfit! Whatever it is do it because you can. It’s fun to try new things, maybe something you’ve always wanted to do and never found the time and now time seems a little more precious so you do it now. Get out of your comfort zone and make new memories. 5. Take time to plan for baby and postpartum life. With uninterrupted quality time this would be a great opportunity to nail down a name, or who will be in the delivery room, what to do in case of an emergency or even small things like who takes what nighttime feed or what kind of paternity leave you have planned. Getting the details nailed down while you’re not distracted will make coming home feel refreshing. 6. Use the time away to communicate honestly. Share intimate things with each other that have gotten pushed aside with all of the excitement around the pregnancy. If there have been hurt feelings, make it right. If there are some fears one or both of you have, share them. Nothing can be fixed if they aren’t communicated. Bringing a baby home can cause unaddressed problems to the surface, ones that you might not even know you have. So anything that is under the surface that you DO know about, work through them now so they don’t become a stumbling block later. 7. A chance to take maternity photos. Get beautiful photos done! I can’t think of a better way to remember your babymoon than with professional photos you can cherish forever. 8. Treat it as one final splurge. This is one last fun adventure where it is still the two of you to splurge on before diapers, wipes, and doctor bills start taking all of your money! 9. Because people love them. No one is ever sad they went; it’s a great opportunity to have even if it’s a very simple and low key getaway. Whether this is baby number one or baby number 10, taking time away with your partner before adding another human to the family dynamic is important. Refocusing the attention to each other and not on the busy-ness of life will keep the romance and communication alive. Putting in the work of going and connecting will always pay off. The time before having a baby is so exciting. Everything feels like a “last time,” and in a way it is. This won’t be the LAST vacation you take (hopefully), but it will be the last one before this baby comes and that makes it all the more special.